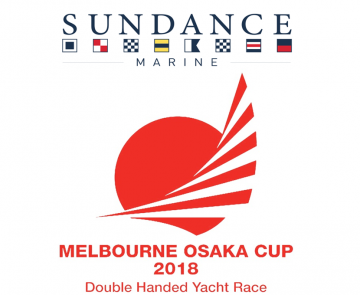 After two years of 'practice', Sailonline.org is pleased to team up with the organisers of the Sundance Marine Melbourne Osaka Cup 2018 Double Handed Yacht Race to bring the virtual version of the race to armchair navigators around the world. Time to race against the real fleet. The Melbourne to Osaka Yacht Race is a 5,500 nautical mile 2 handed yacht race - one of the longest two handed yacht races in the world and the only one running from the southern hemisphere to the northern hemisphere. It encounters multiple weather systems and seasons as it crosses the Pacific ocean. The course takes the competitors into Bass Strait, up the east coast of Australia into the southeast tradewinds then through the doldrums on the equator. It then heads into the northeast tradewinds to the finish in the port of Osaka. For the virtual Sundance Marine Melbourne Osaka Cup 2018, Sailonline will be using the polar of a Jeanneau Sunfast 3600 yacht. 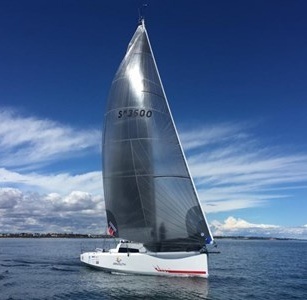 There are three Sunfast 3600s entered in the main fleet starting on Sunday, March 25th including 'Kraken', 'Mister Lucky' and 'Maverick' sailed by Sailonline regular Rod 'Roddo' Smallman. The Sailonline race is now open for pre-race practice to enable everyone, especially newcomers, to learn the ropes in time to be competitive. Gill Australia has, once again, generously donated prizes for the placegetters in the Sailonline.org Virtual Melbourne to Osaka 2018. Prizes will be from the Gill Official Event Merchandise. Details to follow.